This is my UI which is mainly focused around healing (my main is a holy paladin), however I have added profiles for DPS or when playing as a tank. The UI is based around 2560x1440 resolution although it does scale with all other resolutions I've tested including 4K, 1920x1080 and also over multiple screens using EyeFinity / nVidia Surround. 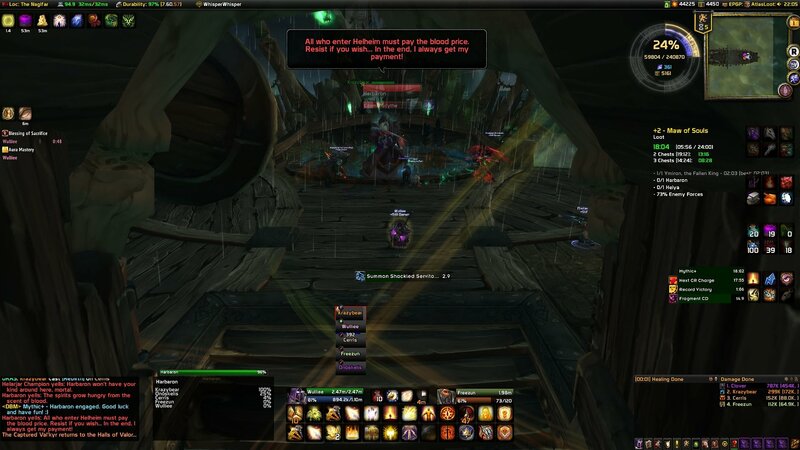 You can check out my UI in action on my YouTube channel or live on TwitchTV during raid progression/farming. All credit goes to the individual addon authors, without them my UI would not have been possible. 1. Make a backup of your WTF, Interface & Fonts (if you have one) folders. 3. Go into the WTF folder, enter the Account folder, and rename the folder called YOURACCOUNTNAME to your own account name all in caps. 4. Enter the YOURACCOUNTNAME folder and change the folder called YourServer into your server name. 5. Enter the YourServer folder and change the folder YourCharacter into your character name. 6. Put my WTF, Fonts and Interface folder in the place where your own folders used to be. /vd opt and select the Tools tab and then choose profile Wullie (choice of healing, dps or tank) from the drop down menu. /bt and select profile Wulliee-Silvermoon. /raven and select profile Wulliee-Silvermoon. 1. I am based in USA, how can I make your UI work on my server? Open the new WTF folder and edit Config.wtf using notepad. Find the line that says (SET locale "****") and make it say (SET locale "enUS") and save. 2. How do I move the mouseover tooltip? Use MoveAnything, search on tooltip, click tooltip and move/drag it to where you want. 3. Once I've installed your UI the profiles don't show up? 99% of the time you haven't changed to your own account name correctly (It is NOT your email address). Enter your old WTF folder to find your correct account name. This is for everyone that has asked about my User Interface. If you wish to speak to me in-game, you can find me at Wulliee - Draenor (EU)(Horde). If you have have any problems with the installation or have any questions you'd like to ask, please post in the comments section and I'll get back to you as soon as I can. Want to leave a tip / donation? You can do by clicking the donate tab at the top of the page. Tips / donations are very much appreciated. Many Thanks. Added WorldQuests in Preperation for Legion. Reconfigured Holy Paladin Weak Auras. Added Demon Hunter Weak Auras & Macros. Reconfigured DBM Timers & Warnings. Added and Configured Exorsus Raid Tools. I will upload new UI images as soon as possible. Made various other minor changes. Changed Buffs, Debuffs & CD's locations. Added Tracker for Legendary Rings. Reconfigured VuhDo to show cluster finder. Reconfigured WeakAuras to show proc from Ironspike Chew Toy. Reconfigured Hermes raid cooldown timers. General Tidy Up of all Addons. Added Beacon of Faith Tracker. Added & Configured Angry Assignments Addon. Reconfigured AdiBags sections and bank. Added VEM voice pack to DBM. Reconfigured AdiBags sections and moved the garrison hearthstone next to your normal hearthstone. Reconfigured Hermes to show correct raid cooldowns. Tweaked settings for a few addons. Changed timer positions of DBM. Also added Aspect of the Fox. Made a few tweaks to VuhDo. Updated Weak Auras to show spirit proc from Mark of Shadowmoon weapon enchant. Reconfigured raid frames. Removed Atlas Loot & Threat Plates. Removed VEM, added DBM. Updated Weak Auras to show spirit proc from the Winged Hourglass trinket. Also various other updates and small configurations. Large update. Added a few addons. Configured timers and skins. Large update before expansion. Fine tuned a few addons. Few adjustments and large update. Few tweaks of various addons. Large Update for Patch 6.0.2. Replaced Weak Auras with Weak Auras 2 (same strings). Reconfigured VEM Timers, Large Update. Reconfigured VEM, Quartz & VuhDo to reduce the small overlap. Large Update & General Tidy Up of Addons. Replaced DBM with VEM. Large Update. RaidSlackCheck & Weak Aura for the Healer Legendary Cloak Proc Added. Large Update for Patch 5.4. Replaced Grid with VuhDo. Added Vengeance Bar. Large Update & a few tweaks to the layout. Updated the DPS/Tank profile to show buffs/debuffs on the target frame. Grid configured to show Eternal Flame on frames. Large Update. Weak Aura for Healers Legendary Meta Gem amended to show Lucidity. Large Update. MikScrollingBattleText added & configured. XLoot removed. Weak Aura for Clearcasting (Healers Legendary Meta Gem) added. 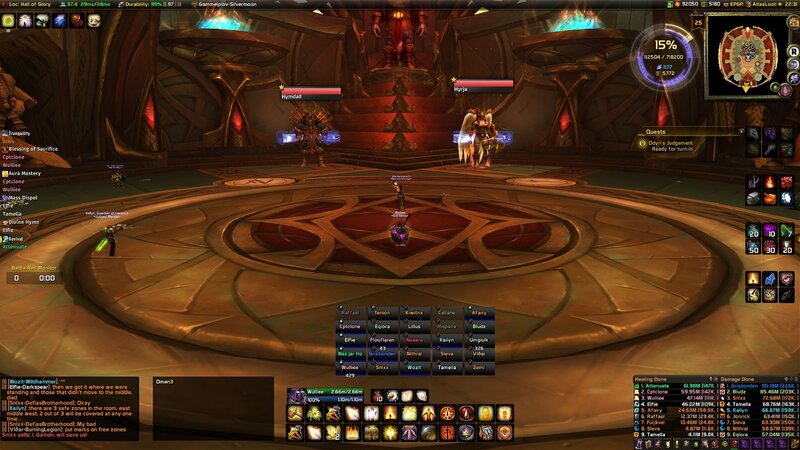 Healer or Tank/DPS Option added. Hermes added. XLoot Added & Configured. Colours adjusted to match UI. NugComboBar removed. Weak Auras installed & configured. Large Update. Installation Instructions Updated. UI Cleaned, Lightened & 100% Updated. Large Update for Patch 5.2. UI Lightened. Various Resolutions Now Catered For. Colours configured for DBM, Omen & Skada. Reconfigured NugComboBar & Quartz. Large Addons Update. Cleaned up all addons. Also large update. Large Update for Patch 5.1. Reconfigured /ntk timers. Grid, SUF & DBM Small Configuration and Addons Update. Reconfigured a Few Addons & Large Update. A Few Small Errors Corrected and Large Addons Update. Quartz Reconfigured & Vengeance Status Added. v4.0.6 Corrected & Addons Update. Grid now displays spec icon for each player in Dungeons & Raids. (See 1st Screenshot). SUF Reconfiguration & Addons Update. Changed SexyMap to Chinchilla. Large Addons Update. Reconfigured Tooltips, DBM, Quartz & MoveAnything. EU to US installation error has now been fixed. Correction to v3.7. Addons Update. Reconfigured Tooltips. Changed Buffs to show 2 rows instead of 1. Moved ExtraActionBar to give DBM timers more room to expand. Addons Updated. DBM, NtK & Bartender Reconfigured. Added Debuffs to Focus Target. Addons Updated. Large Update - See New Screenshots. Reconfigured all Colors again to match the rest of the UI. Addons Updated. Tooltips now shown correctly & Large Addons Update. Omen also now works as intended. Large Addons Update for Patch 5.0.4. Large Update for Mists of Pandaria. Moved tooltips & buffs to the left side of the UI to make it look more balanced. Cleaned up some of the Addons... deleted a couple of unnecessary additions. Updated all Addons. Reconfigured a few colors. Replaced Recount with Skada. Updated all Addons. Small update on a few colors to match the rest of the UI. Addons updated & small tidy up. 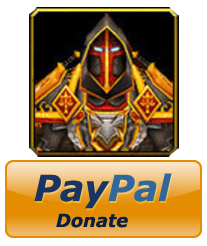 2 Addons added and general update. Error in WTF folder corrected. Made a couple of minor adjustments to the layout. (See 1st screenshot). Background color of DBM timers changed to match the rest of the UI. Due to work committments I am not currently playing warcraft and my account has recently expired so I won't be renewing it until my work load reduces a bit. 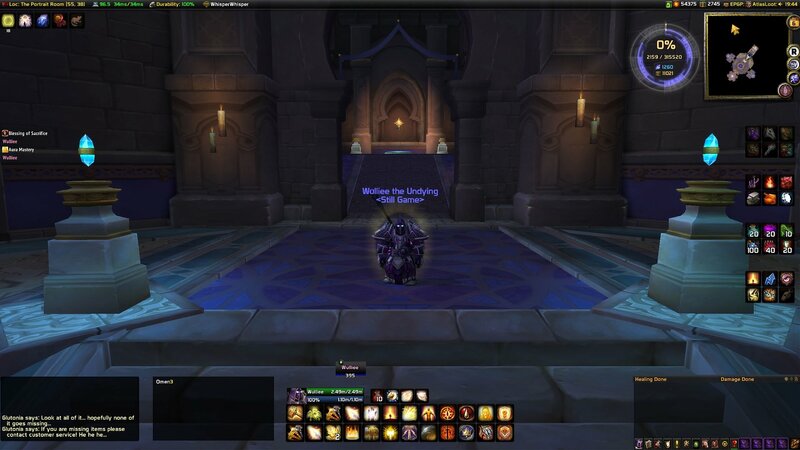 As soon as I'm back playing warcraft, my UI will get updated. In the mean time, just keep updating the addons and you should be fine. Can you consider an update on this awsome UI for a small fee? I can't see your profile at /bt. What do i do? How do you update the addons? If someone has a good choice please let me know! I used Curse Client Years ago and that was really nice! Twitch is so complicated ! I really want to use Wullie UI because its one of the best i ve ever seen! Last edited by zvinet : 09-02-17 at 05:16 AM. Hey, I have been trying to change something on my own and I am failing miserably. I love the UI, the only thing I am trying to change is the holy power indicator. Currently, the only one I can see is the small buff box in the upper left corner. I was wondering where to look/if it is possible to make a change somewhere to make it easier to track the amount of holy power I currently have. /wa to bring up weak auras - there is a holy power aura in there that is easy to track. If you can't find it, gimme a shout and I'll post the string here. where i can get announcement from resurrection away? Now it says automatically to chat "casting mass resurrection"
It's been a while, but I'm sure that is configured through Exorsus Raid Tools. Love your addon and played with you tons of times in Draenor. Think you can help me out with a casting bar? I'm playing at 3440x1440 (21:9) and needed some help to move a "Casting Bar"
Tips / donations are very much appreciated. Many Thanks. My Twitch Page / YouTube Channel.